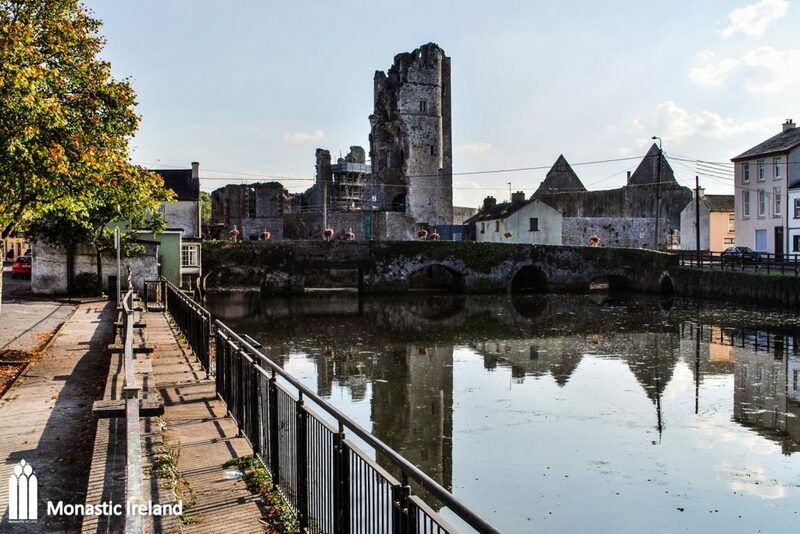 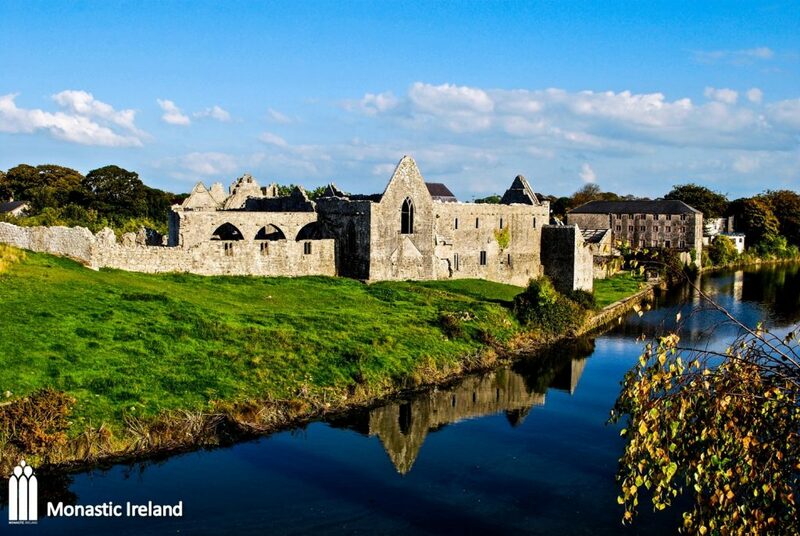 The Franciscan friary of Askeaton lies by the river Deel, to the north of the village of Askeaton, Co. 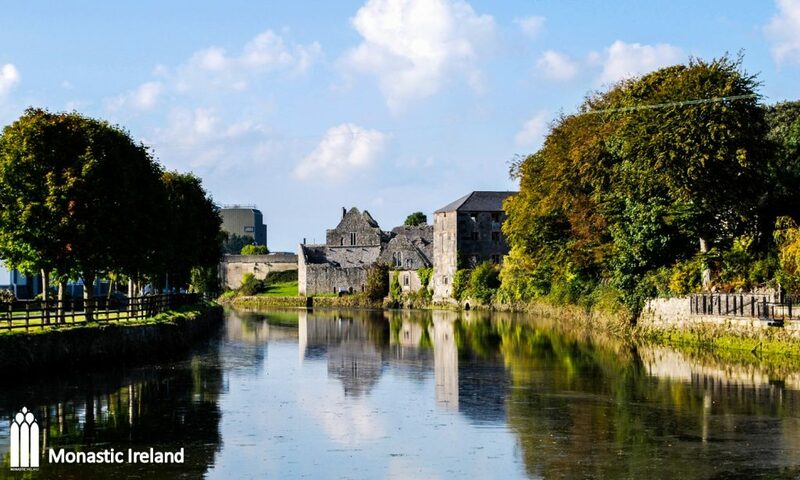 Limerick and the impressive castle of the Earls of Desmond, which stands on a rocky island in the centre of the town. 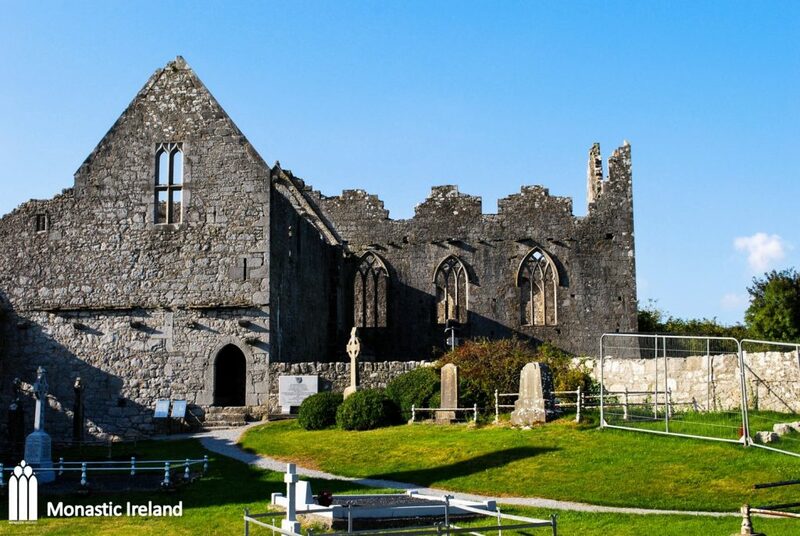 The friary was founded either in 1389 by Gerald Fitzgerald (1335-98), 3rd earl of Desmond and Lord Justice of Ireland, or in 1420 by James Fitzgerald Fitzgerald (c.1380–1462), 7th earl of Desmond. 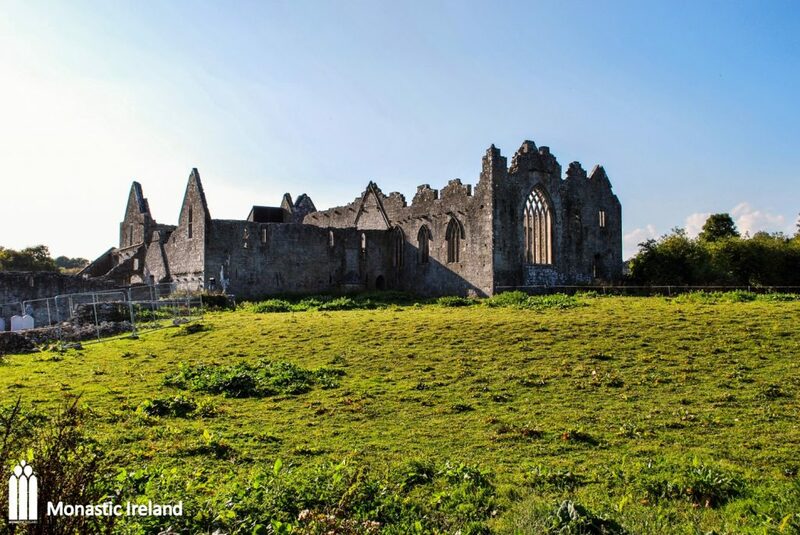 The extensive remains of the friary and its surroundings represent an imposing medieval architectural landscape that was probably planned intentionally in the early fifteenth century. 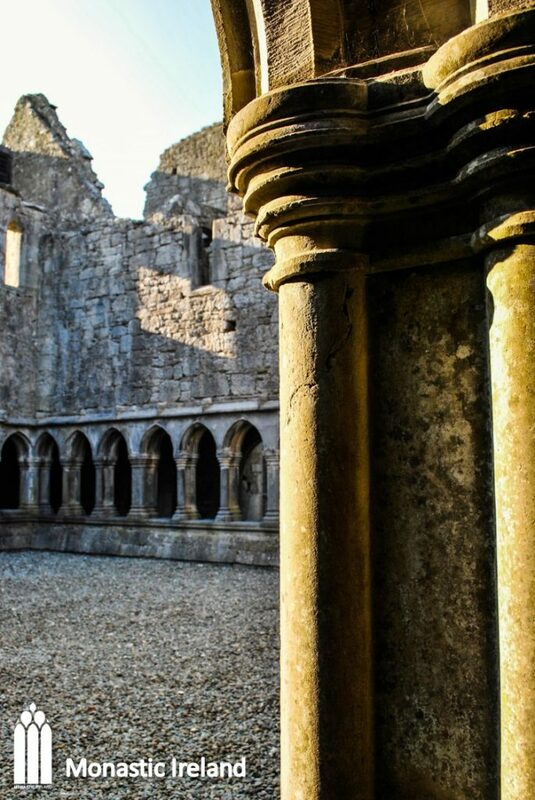 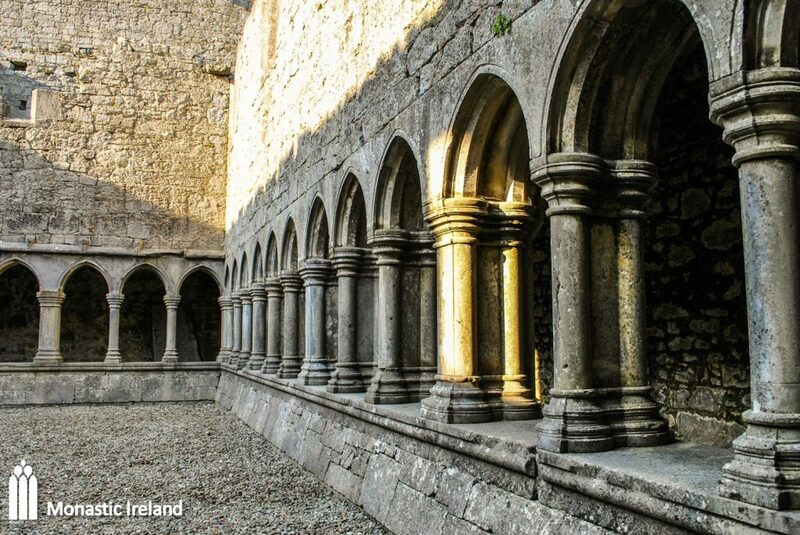 The friary’s cloister is intact and an image of St Francis is carved into the cloister arcade to remind the Franciscan friars of their patron saint as they went to and from Divine Office. 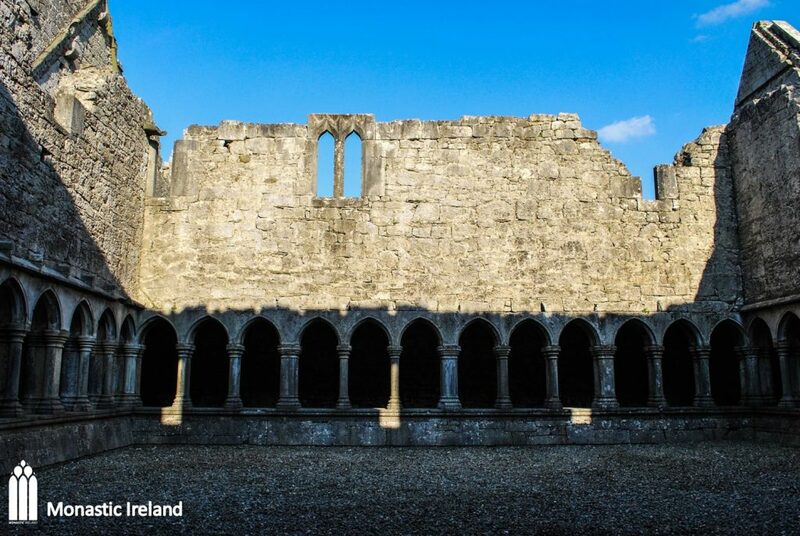 While it is uncertain who the founder was, the friary was closely associated with the powerful Fitzgeralds of Desmond, whose fortunes rose during the fourteenth and fifteenth centuries, before being wiped out during the failed Desmond Rebellion of the 1580s. 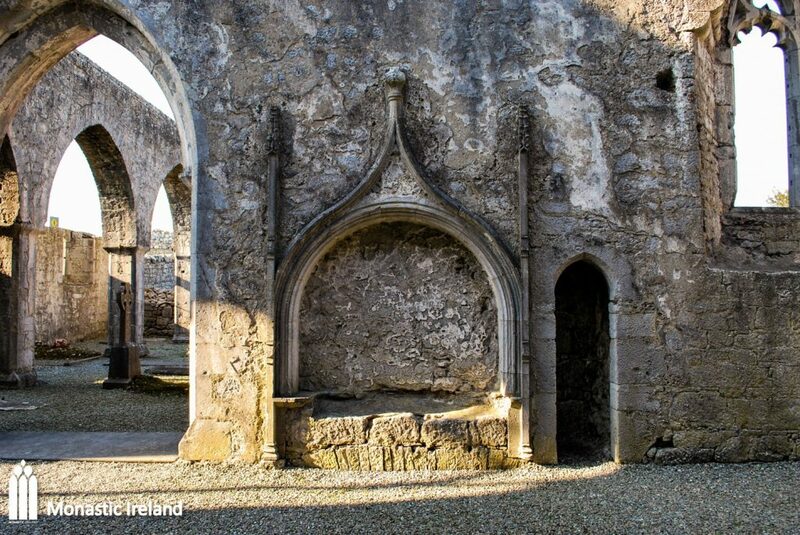 The suggested foundation date of c. 1400 relies upon a grant of indulgence by Pope Boniface IX (1389–1404) to anyone visiting or giving alms to the friary of ‘Inisgebryny’ in the Diocese of Limerick, which may refer to Askeaton. 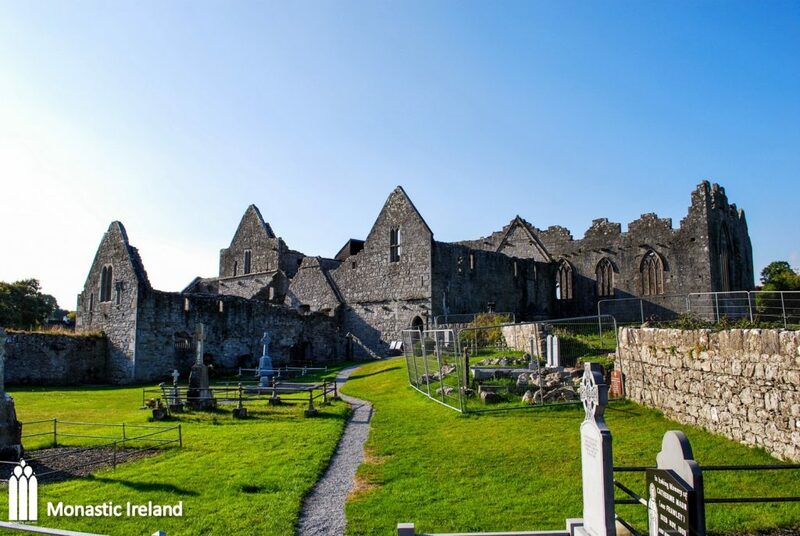 At this time, Gerald Fitzmaurice Fitzgerald, 3rd earl of Desmond (d. 1398) might have brought the friars to the town. 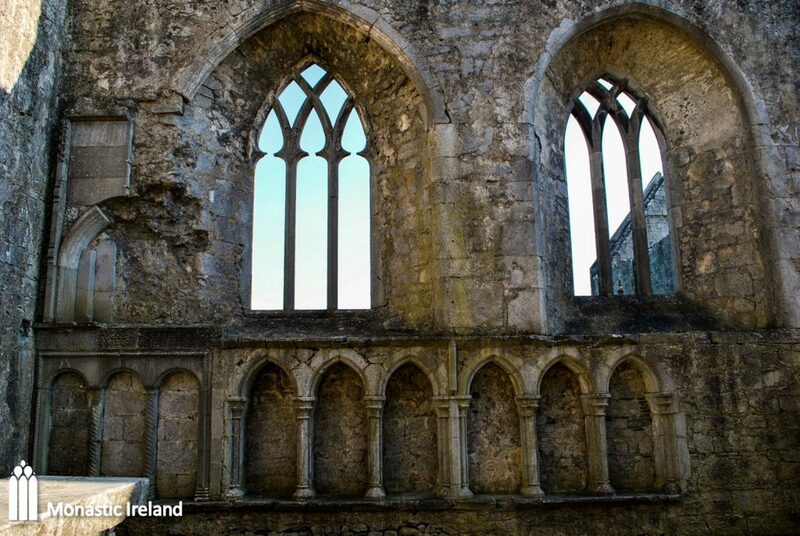 Gerald was a poet who composed courtly love poetry in the Irish language. 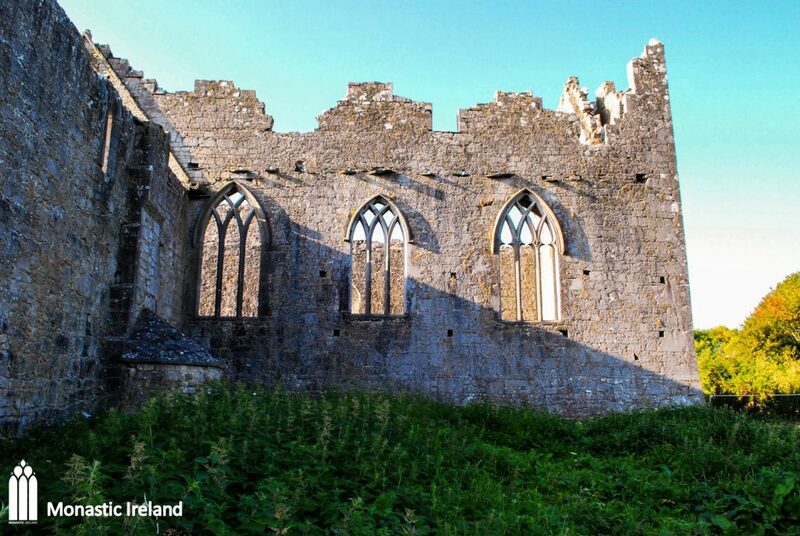 Other sources suggest the more likely foundation date of 1420, when the friary became a burial place for the Fitzgeralds. 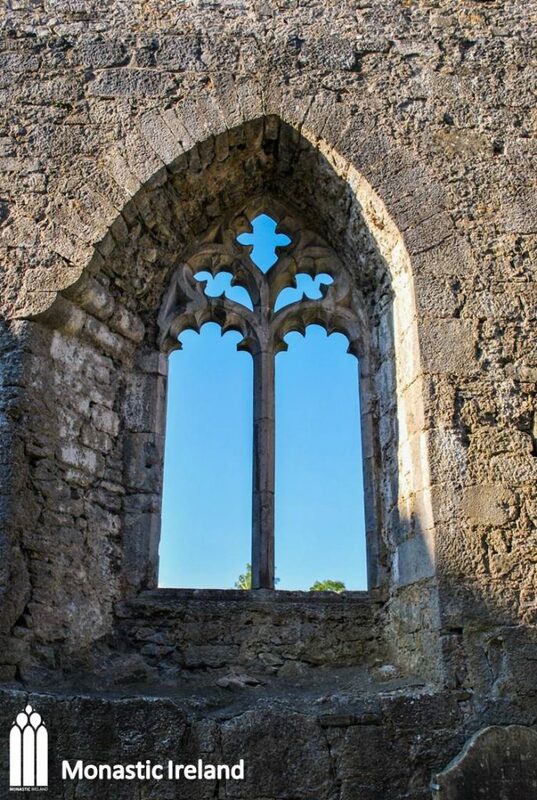 If so, Gerald’s son, James Fitzgerald Fitzgerald (c.1380–1462), 7th earl of Desmond was the friary’s first main benefactor. 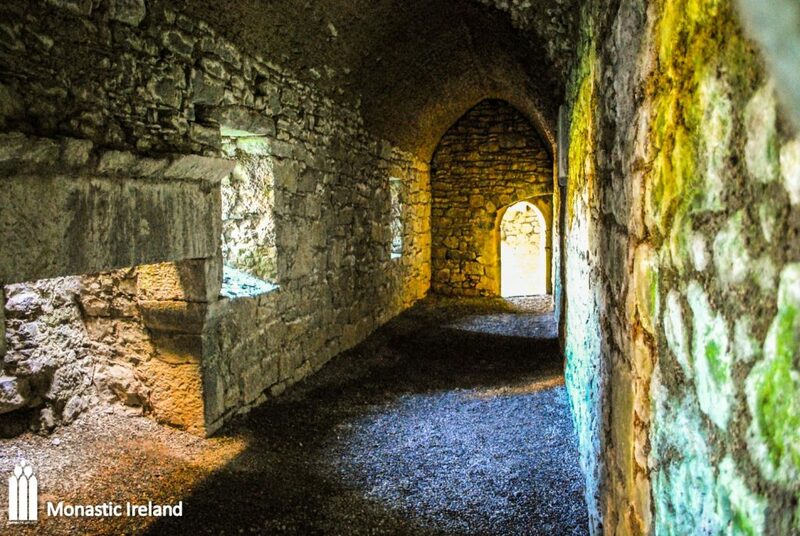 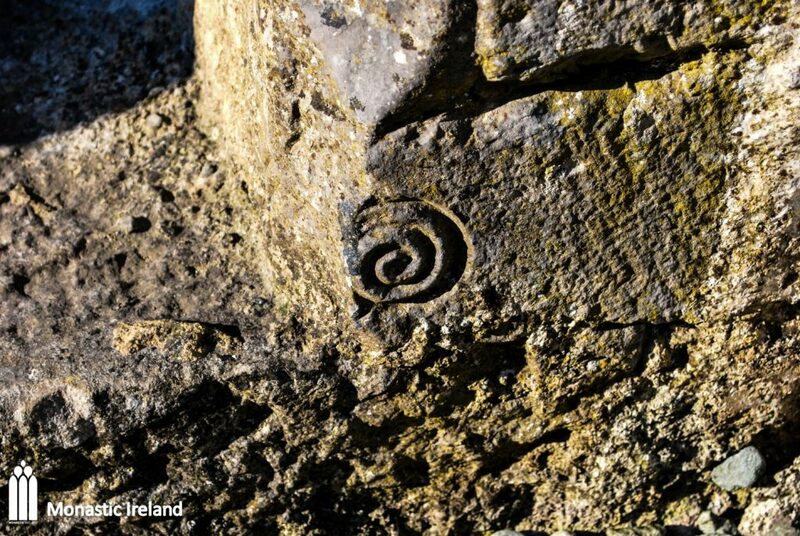 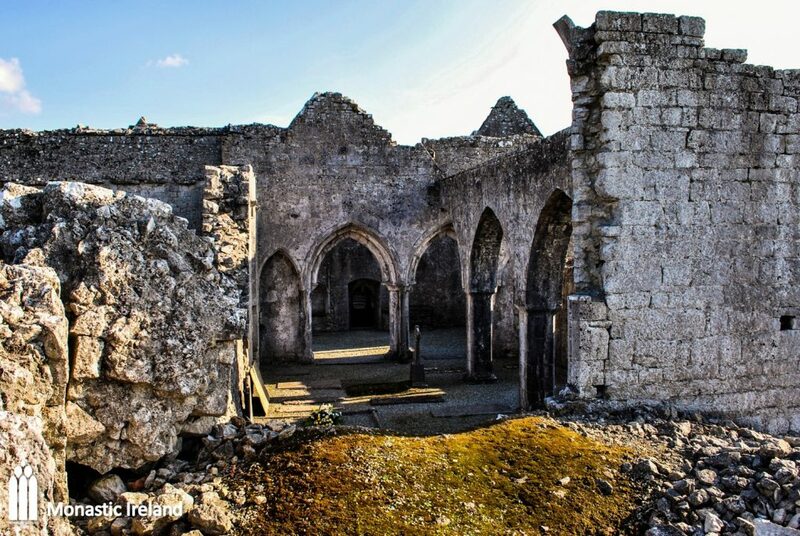 The Fitzgeralds were associated with the foundation of many mendicant houses throughout Ireland, including Youghal, Clane, Clonmel and Kildare for the Franciscans and Sligo, Tralee and Youghal for the Dominicans. 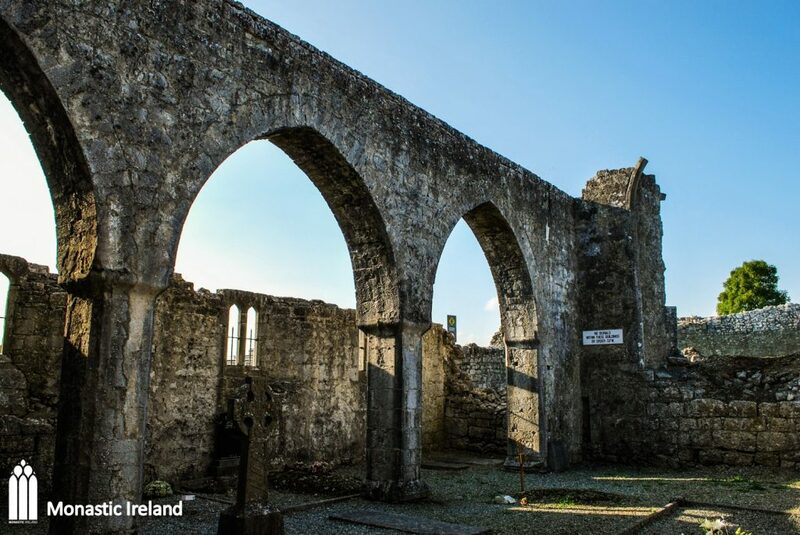 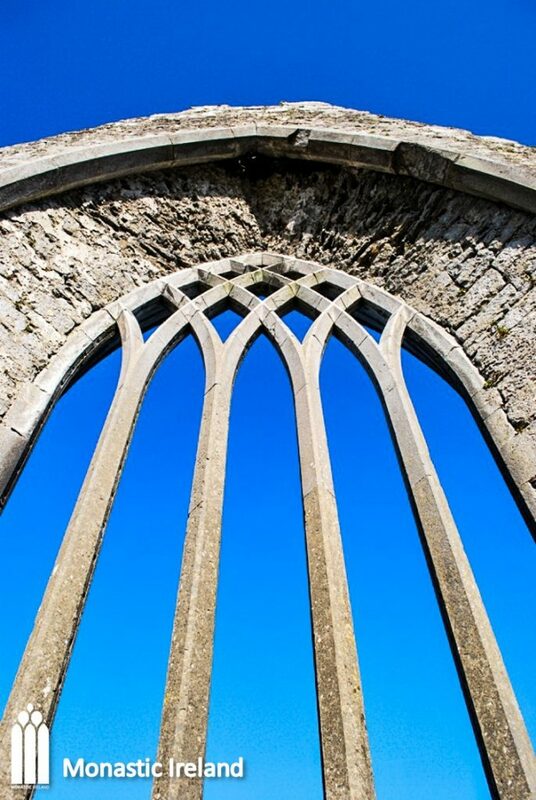 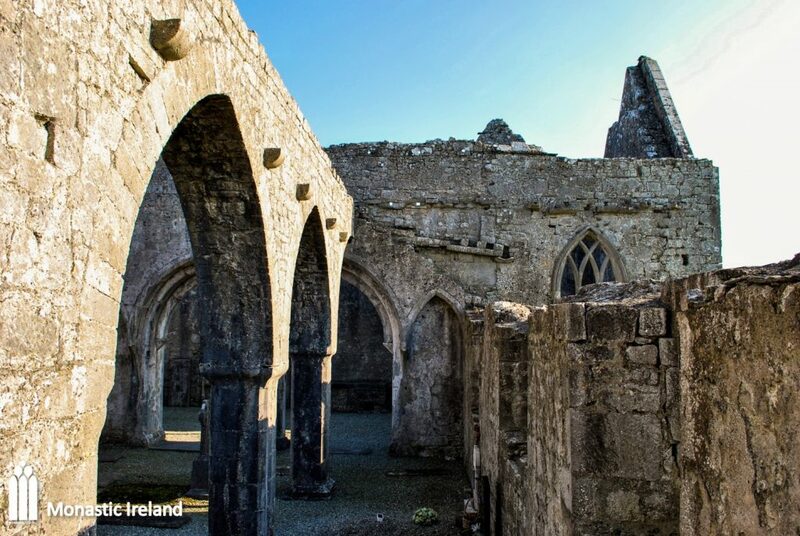 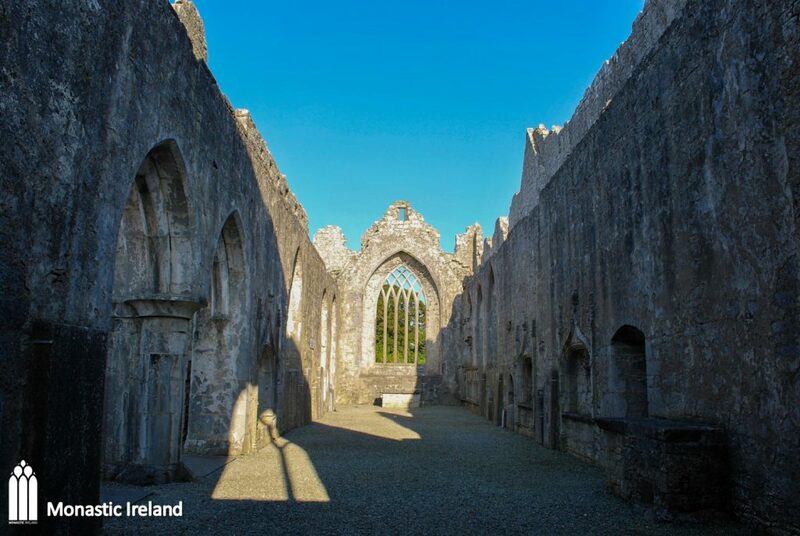 The Franciscan friary at Askeaton is an impressive foundation, due to its size, the extent of its remains and its proximity to the impressive ruins of the nearby Desmond castle. 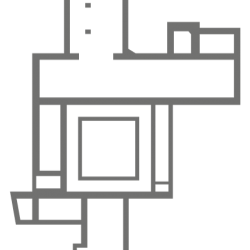 Both friary and castle may have been built as part of the same urban building campaign. 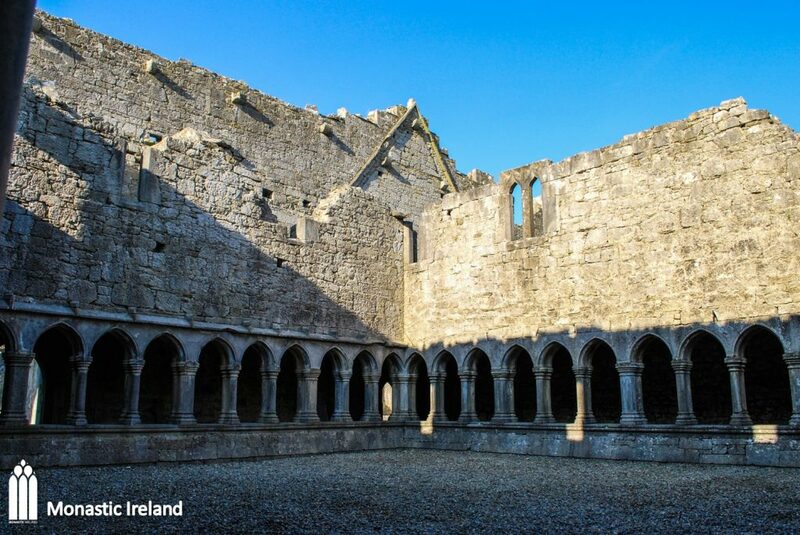 The church and its north transept, sacristy, cloister arcade and domestic buildings all survive, including the top floors of the east and west ranges. 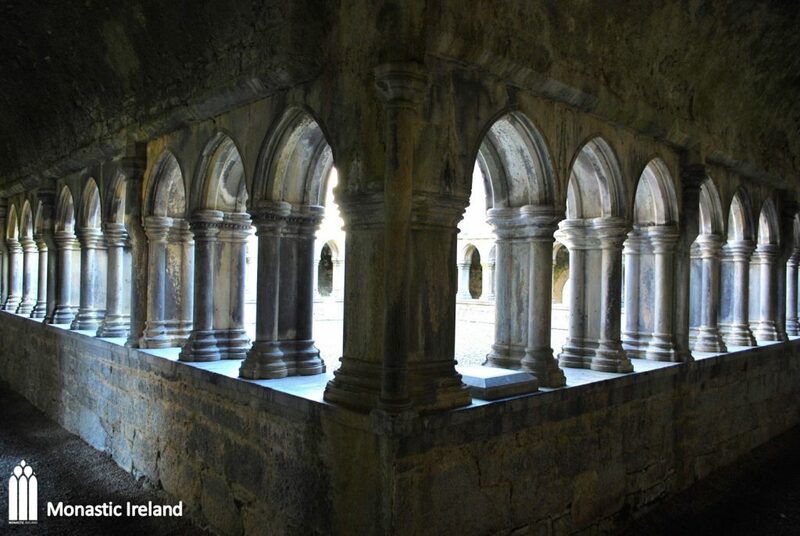 One of the most striking features of the friary is its beautiful fifteenth-century cloister arcade, with a devotional carving of St Francis showing the stigmata. 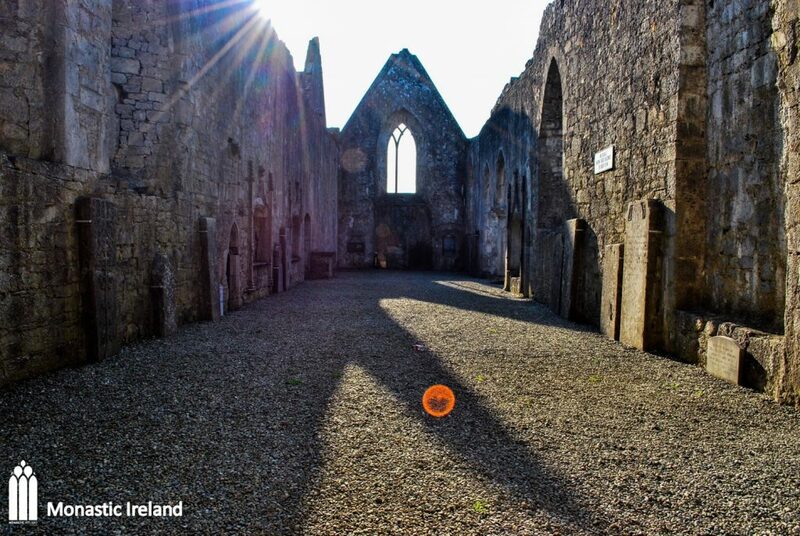 There is a medieval hospice within the friary’s precinct. 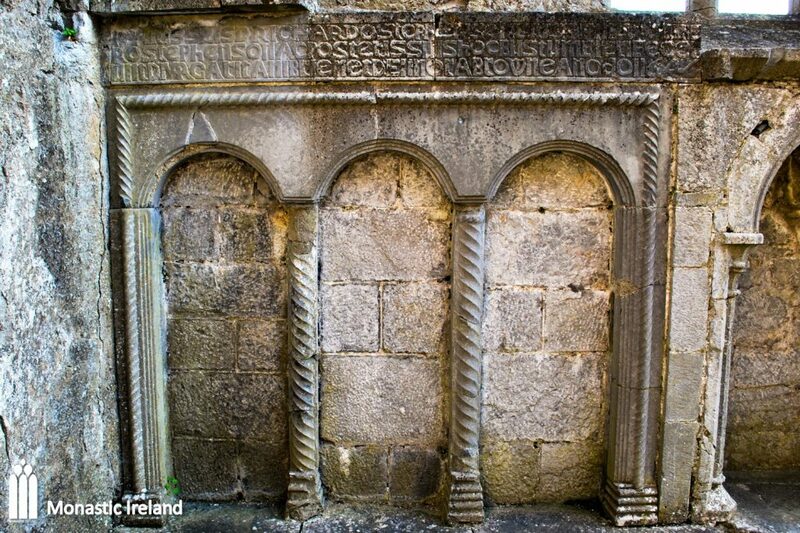 Among the detailed features are an elaborate sedilia in the south wall, three altar-tombs of similar design, probably built for the Desmond family or other prominent patrons, a Mass dial in the cloister and a wall painting of Christ as the Man of Sorrows. 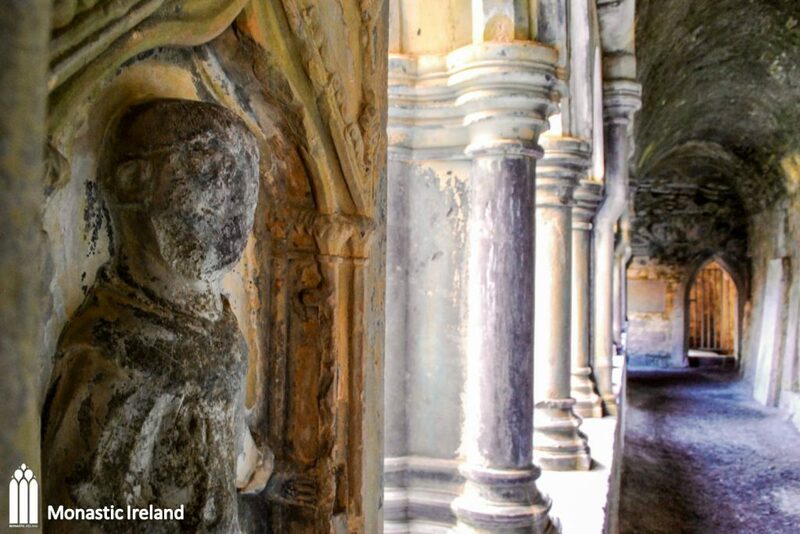 A medieval wooden statue of the Madonna and Child and three medieval bells from Askeaton are now in the National Museum of Ireland, Dublin.